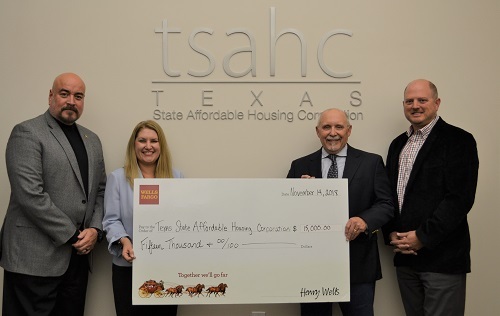 The Wells Fargo Housing Foundation has generously donated $15,000 to TSAHC in support of Housing Connection, a TSAHC initiative that provides training opportunities to nonprofit housing counselors and affordable housing developers. Their investment will support a weeklong training workshop in June 2019 to be hosted at the Federal Reserve Bank of Dallas. With this grant, the Wells Fargo Housing Foundation is helping strengthen Texas’ nonprofit network to ensure nonprofits can continue to provide high quality housing and financial education to Texas families. We want to thank the Wells Fargo Housing Foundation for their continued support!